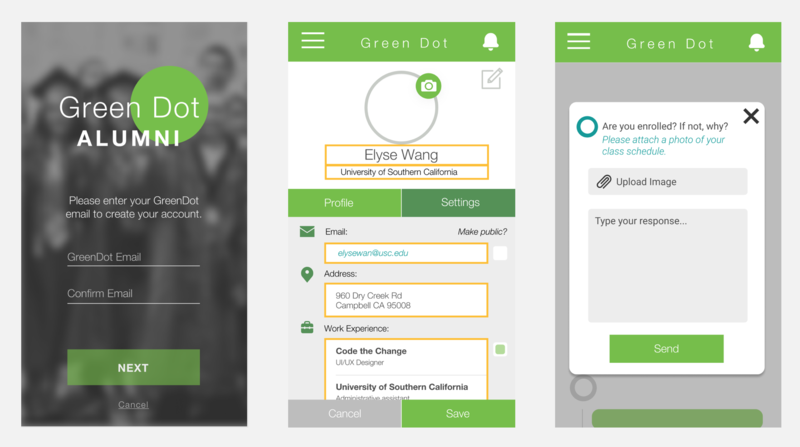 Made for the non-profit, GreenDot Public Schools, our team built a mobile and backend application meant to link GreenDot alumni to resources to succeed in their educational careers. Code the Change is a USC organization that drives social impact by creating software for non-profits in the LA area. My first year in the organization, our team worked with GreenDot Public Schools to solve their problems with managing and communicating with their alumni network. Our task was to build a application for them that would be easy to use, connect alumni and GreenDot administrators together, and provide a college roadmap for students to help navigate their educational journeys. Github: Private, please request access my emailing me with a reason. I primarily worked on the backend portion of the application, built with Django and PostgreSQL. This involved setting up the models, routes, viewsets, and admin panel of the Django web application. We also integrated notifications so that administrators would be able to send resources and updates to their alumni network through their mobile devices. I also helped with building out componenets for the login flow on the frontend React Native code. Other features included the user profile and user search which would provide users the ability to reach out to other alumni and keep track of their progress. Another feature was the college roadmap, which allowed administrators to post checkpoints and hear from their alumni as the alums track their college progress on their own devices. 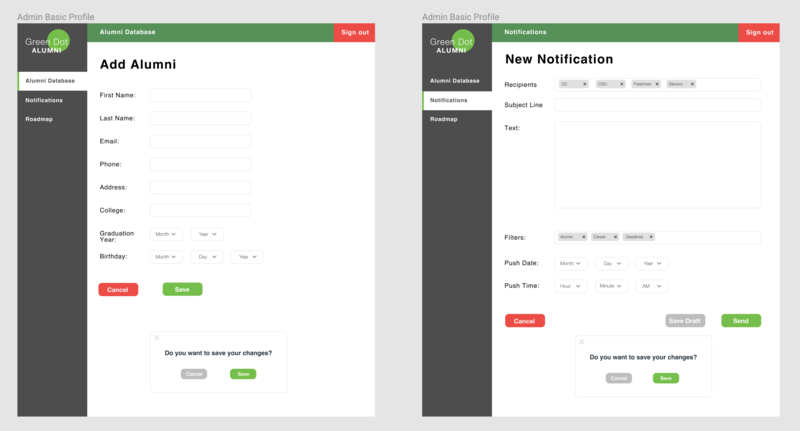 Administrators would be able to see responses on the admin panel and send notifications. Overall, working on a impactful long-term project with an amazing team and fully completing the project by the end of the year felt very fulfilling. Even though this organization is all students, we had a very professional setting, and this project challenged me to push my standards of programming to another level. It felt special to interact with the high school students who would use our product and to talk to the administrators who were so grateful that we were able to provide such service to their cause.